A Great Way to Show Appreciation for a Local Business that has provided an Excellent Customer Experience! Q - What is 'Tick-Pics'...? 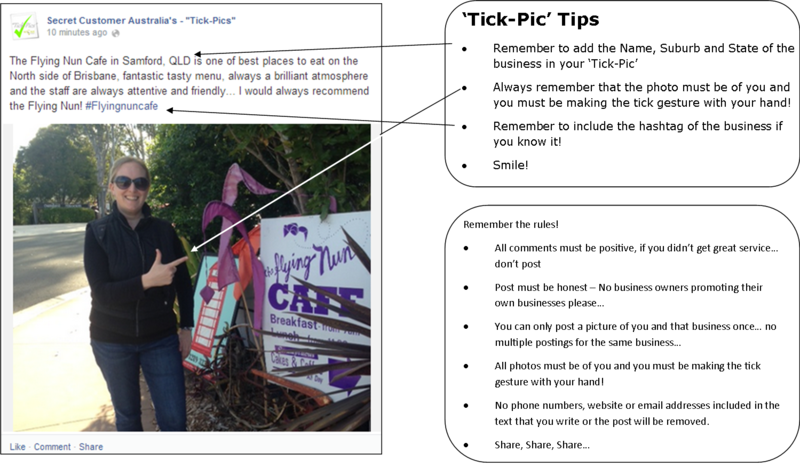 This is how it works.... a 'Tick-Pic' It’s a photo of you standing outside the business you have had the great experience at, pointing to their signage in a way that your thumb and forefinger form the shape of a tick, then comment on the photo as to why the experience was so great, post to the Facebook page and share with all your friends… Simple! A - NO, absolutely not, 'Tick-Pics' is a completely free service for people to use. A- We simply provide the Facebook page and the webpage space for the 'Tick-Pics' community to use, any businesses found on 'Tick-Pics' are not necessarily customers of ours. The team at Secret Customer just thought it would be a great idea to give people this type of opportunity to support their local businesses. All photos must be of you and you must be making the tick gesture with your hand! No phone numbers, website or email addresses included in the text / comments that you write or the post will be removed. Q - Can you only post "Tick-pics" about Australian Companies? 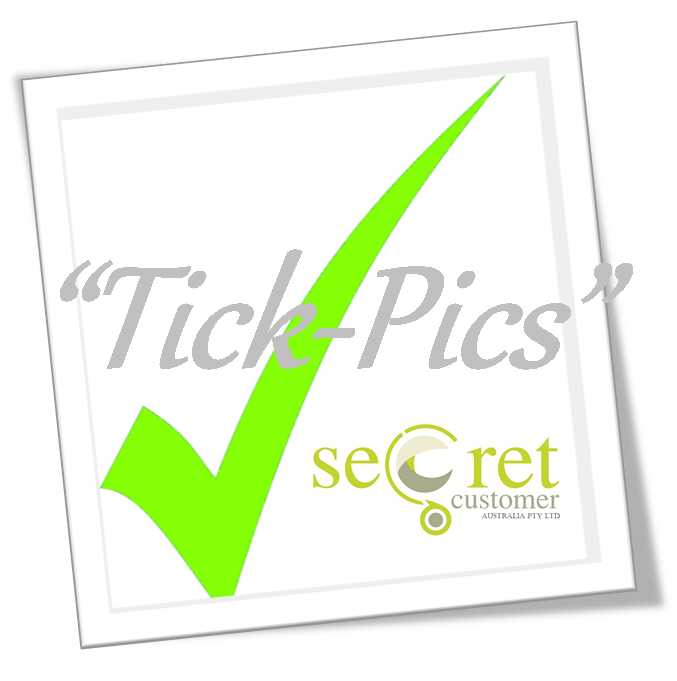 A - NO, absolutely not "tick-pics' can be posted from anywhere in the world! Get involved!